We have seen many skilled nursing facilities struggle with their CMS ratings and this marketing campaign can help change how the buyer views value. 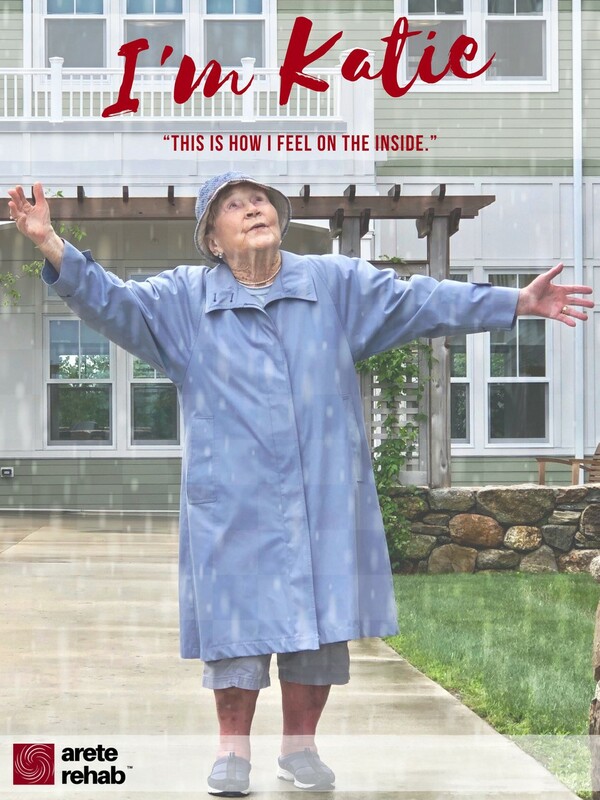 Using consumer preference as a driver, I developed an emotion-based marketing campaign aimed at connecting all generations within the family support system. 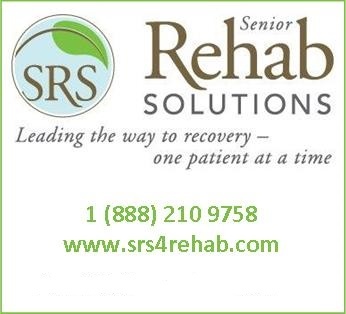 Tailored to each partner facility, we used both short-term rehab patients and long term care residents to reveal genuine, patient-centered success stories—unraveling an emotionally-driven story for families and ultimately selling them a lifestyle within the facility. Connecting all generations in a resident’s family is critical to your facility’s success. Deliver an experience. Look at the whole patient: Are their emotional needs being met as well as maximizing their safe, functional independence? 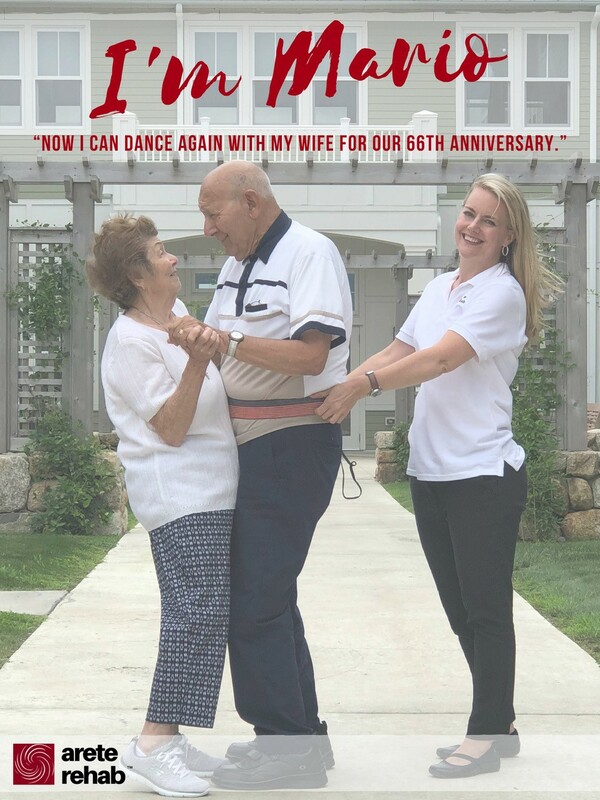 Mario’s personal goal was to dance with his wife again. Meeting both their emotional and physical needs will maximize each individual's quality of life. Between her increased mobility and strength, Katie has a newfound feeling of inde-pendence—making her feel right at home with her facility. That very moment when Katie looked at her picture, eyes sparkling and said to her daughter and friends “this is how I feel on the inside,” we knew that our goals had been met. Jane is 102 and had a fall while she was out shopping for groceries. 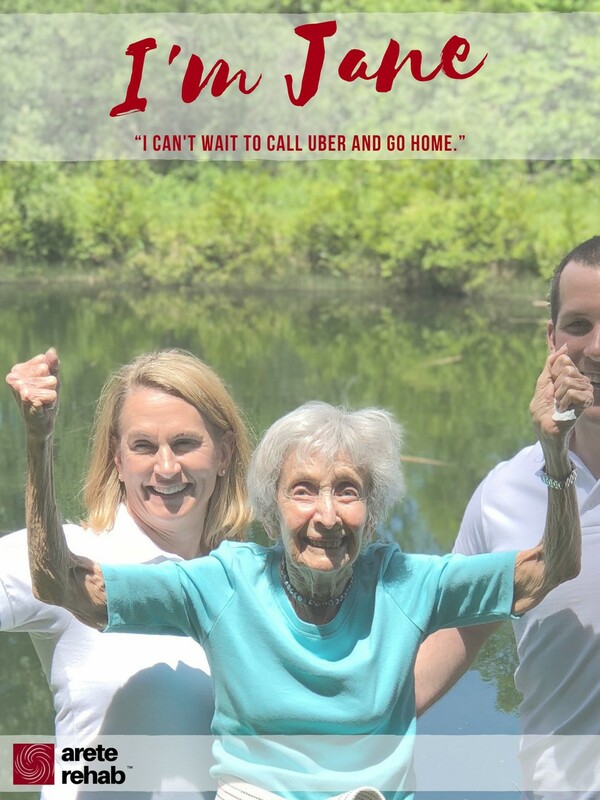 She still drives, lives at home alone and cannot wait to get back to her independent daily life. 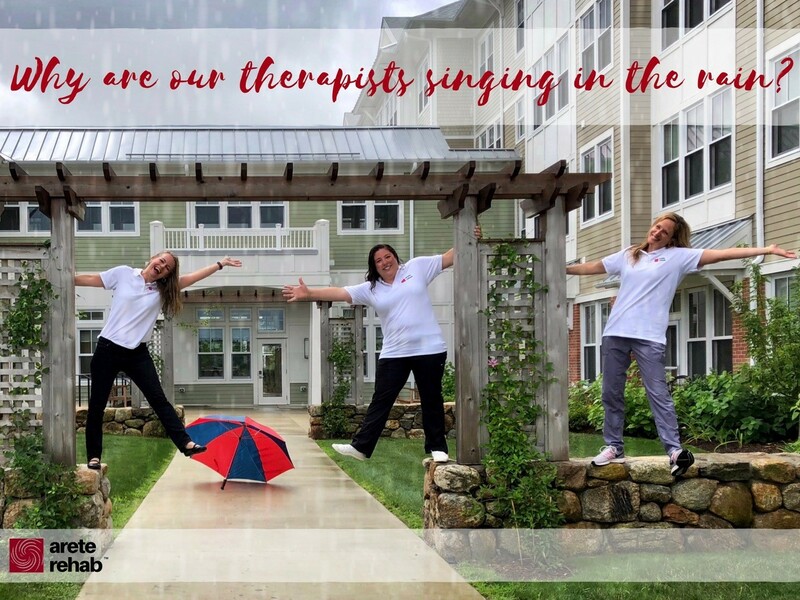 “This is so different, you know how personal it is,” “Every time I look at this I smile and shed a tear,” “This shows how healthy and vibrant our short-term rehab patients are and that they get to transition home,” and “Your therapists look so engaged” are just a few statements made by our partners. Staffing is a challenge and highlighting how engaged therapists are with patients and residents on an emotional level in-creases your facility’s competitive edge. Referrals from doctors and case managers have increased after being exposed to our new marketing campaign. They too felt connected. In an effort to increase outpatient referrals at our partner skilled nursing facilities, we have created co-branded rehab wings with walls of four-foot tall success stories using their own patients and residents. Both residents and families alike stop to view and absorb the inspiration behind the image. They know they’ve come to the right place. By utilizing your own in-house marketing your actual return on investment is an increased census, successful patient outcomes, and staff retention. The best marketing doesn’t feel like marketing. A picture is worth a thousand words. Comments on "SNF MARKETING 101: Tell a Story"